Officially, and boringly, it's called One Blackfriars. Unofficially, it's The Boomerang, thanks to its backbending profile. 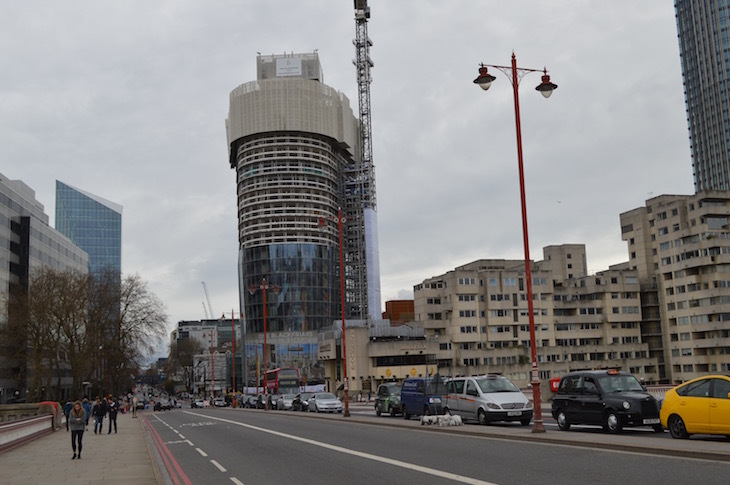 Either way, this major landmark is swiftly growing to the south of Blackfriars Bridge. 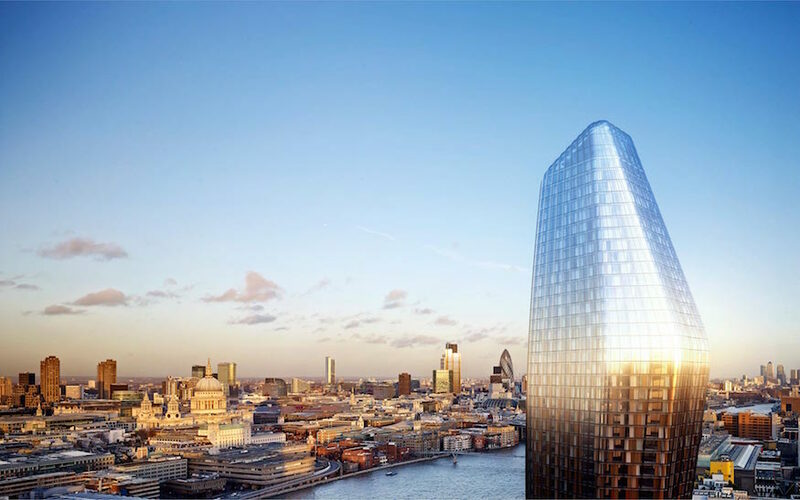 The residential tower is set to reach a full height of 163 metres, a fair bit taller than the neighbouring South Bank Tower, and slightly loftier than the Walkie Talkie. Like the latter building, the Boomerang also gains a few waist sizes as it rises, bulging out in the middle before tapering back to resemble a hand-held vacuum cleaner. Will it suffer from the same kind of public derision afforded the Walkie Talkie? It's hard to say. The Boomerang is a sleeker, subtler affair, with curving, reflective glass — the kind that won't focus the sun's rays and set fire to cars. On the other hand, it's choc-full of luxury apartments — the most expensive of which is billed at £23m, and the cheapest of which costs more than a million — hardly endearing to a city full of people struggling just to pay rent. Needless to say, the tower contains no affordable housing. Instead, developers St George paid the council £29m towards housing schemes elsewhere. In a notable mis-step, the tower hit the news a year ago with a bizarre promotional video flaunting its exclusivity — 'creepy', 'vile' and 'appalling' was the general consensus, before the video was pulled. 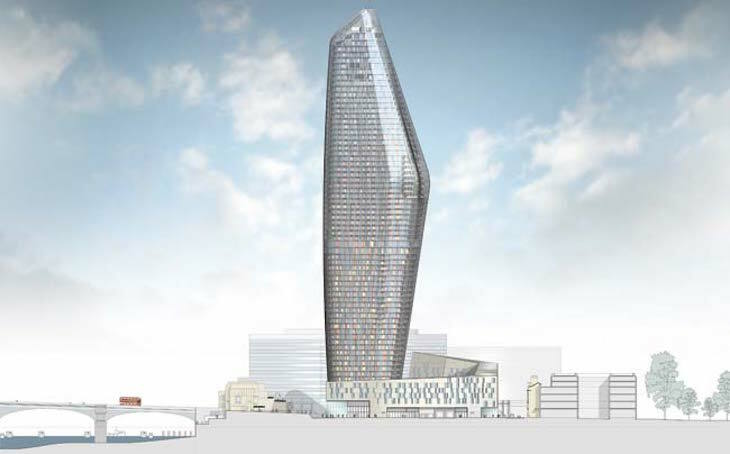 Love it or loathe it, the tower is set to complete in 2018. The rate it's growing, though, it should dominate this stretch of the Thames much sooner than that.